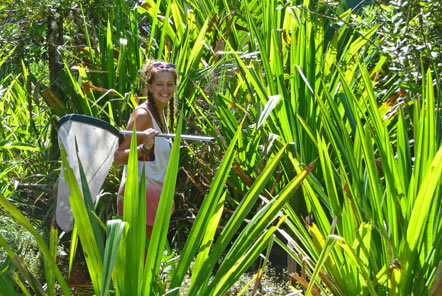 Gemma is the Placement Manager for the volunteer projects in Madagascar, she shared her expereince visiting the Conservation project for the first time. "Like many others, I first heard about the wonders of Madagascar from David Attenborough. In his infamous documentary he highlighted the wonders of the unique creatures that are found on the island just of the coast of East Africa. The diversity of animal species is breath-taking, but what I didn't comprehend was that not only are many of the animals, insects and plants unique to the island, many are also unique to certain areas on the island itself. The long journey from the town to the Madagascar Conservation project takes you along a bumpy road passing through many mud hut villages where the children excitedly wave - very few vehicles pass by on these roads each day! The drive takes you through rolling hills to large plains before arriving into the forest. 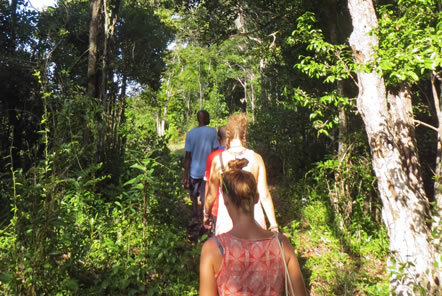 We were greeted on the sandy road by the research team and headed into the forest to the research base. This is where daily schedules are set, dinners are eaten and evening chats take place. We sat down around the long table in the open air wooden hut for introductions, luckily we’d arrived just in time for a delicious lunch of rice and beans. Matt took me on a tour of the base; to the long drop toilet, shower block, well, research centre (which has limited solar electricity) and the patch in the forest allocated for my tent. 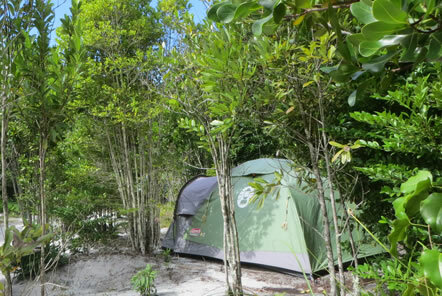 The base is in the heart of the forest, so it was only a few minutes before I had spotted my first chameleon relaxing in the bushes next to my tent. On my first night I joined the team and local guide on a transect walk through the forest to record the species of lemurs that we could spot on one of the path trails. 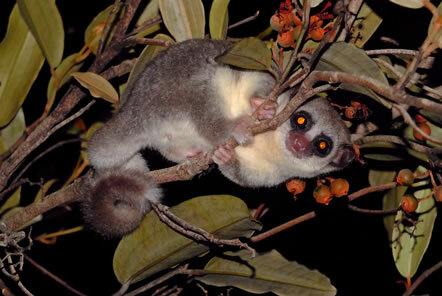 The lemurs’ eyes catch the torch light like golden gems in the forest. Incredibly we were out for less than five minutes before we spotted two fat tailed dwarf lemurs, by the end of the night we recorded sighting of all three species of nocturnal lemurs. One mouse lemur was spotted right next to the path, it was amazing to see this endangered species so close and incredible to think that this tiny lemur which is less than 10cm tall is in the same species as the well-known black and white ring-tailed lemur who are over half a meter tall! At the Conservation project the team are working to document the different species which are found in their coastal forest segments. 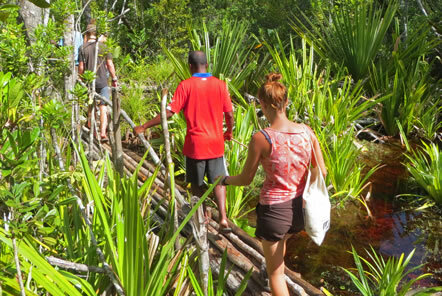 The team head out into the different segments of the forest and collect data on a specific research topic each day. In the morning they may document the number of birds, whilst in the afternoon they may identify dragonflies by a stream, then spend the evening looking in the leaf litter for frogs. I only look part in one dragonfly transect during my visit however we identified a new species of dragonfly which had not been spotted in the area before! 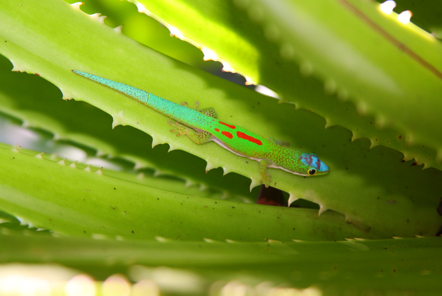 The research is vital as many of the forests of Madagascar are under threat of mining or development as such understanding the distribution of species is a key element for their future survival. One morning I joined the team before sunrise to help with the sustainable lobster fishery initiative which collects data on the number of fishing boats that head out each day and the daily lobster catch. In recent years, some marine areas have been closed off to protect lobster eggs, with the aim of increasing the lobster population which had been in danger of collapsing. Both the local fisherman, and data collected by the Conservation team, agree that this pilot project has been a great success. During my stay, I worked alongside volunteers in the tree nursery where the Conservation project are planting endangered plant seeds of local species to help replace and regenerate trees lost from the surrounding forest. I also had the opportunity to see some of the last few remaining species of the palm trees in the region. Sadly one of the remaining 50 palms in the area had been cut down since their last review, most likely to make lobster pots - a vital source of income for families. This really hit home how but complex conservation and development issues are; the local population live under the poverty line and struggle to make an income for themselves as such, banning locals from using their forest resources is not a fair or sustainable method. This is where the team’s holistic approach to conservation is so vital so that the community can feed their family and make an income from alternative initiatives, whilst limiting the damage to the fragile unique surrounding forest. 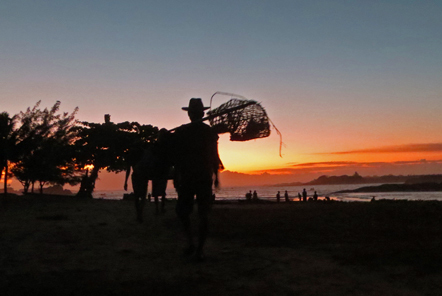 There are huge complexities surrounding conservation in a region where the locals live in extreme poverty. The team work with the community to provide alternative livelihoods and actively work to understand the communities needs to use the forest resources for day to day survival. Not only do the team run weekly environmental sessions and English lessons in the local schools they also have developed a women’s embroidery workshop and water harvesting initiative. 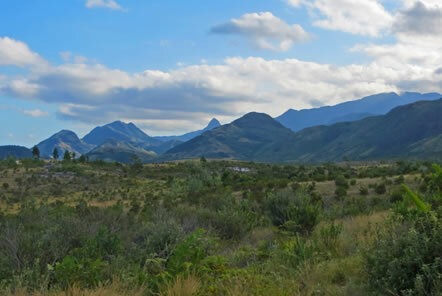 I was sad to leave the wonderful Conservation project team but it was time to head back to Fort Dauphin and start the journey back to the Pod Volunteer office to help recruit more volunteers to support the incredible initiatives the Conservation project are pioneering in Madagascar." 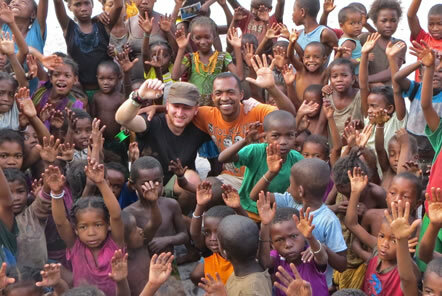 Do you want to join the team in Madagascar?